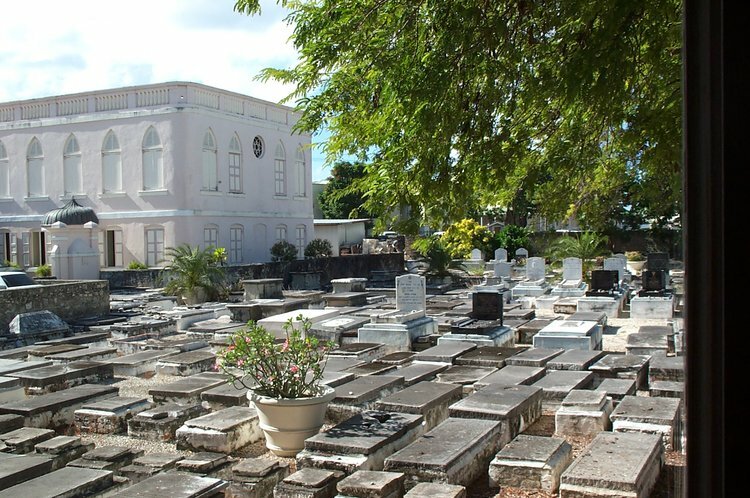 The Jewish cemetery is located next to the Nidhe Israel Synagogue 1654 and dates back to the same period. It was originally divided into four separate walled cemeteries, with an additional cemetery in Whites Alley on the block bounded by James and Swan Streets. The oldest tombstone is dated 1658. It currently has about 400 graves. The older grave ledgers are flat and made of marble or granite, as is customary in Separdic graveyards. There are also Ashkenazi graves from the more modern Jewish community of the 20th and 21st centuries, who still bury their members there. 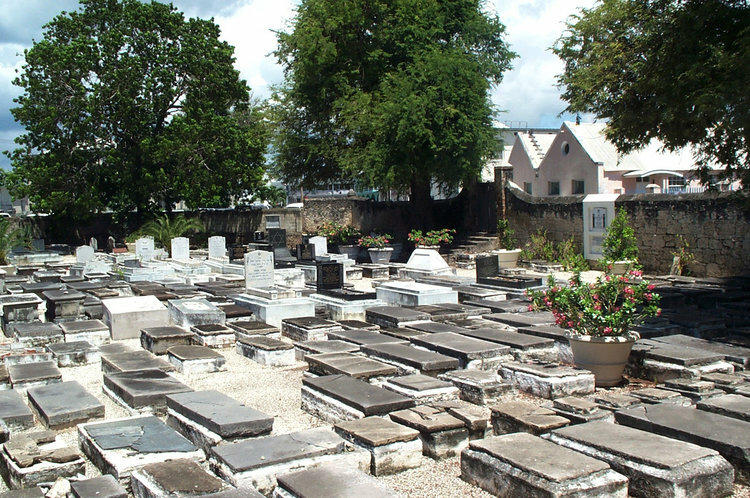 Between 1999 and 2003, the cemetery was restored by consultants from the UK. In order to find the original ground level, it entailed the removal of considerable sediment, and litter that was dumped by local residents over the years. Tombstones were cleaned and repositioned. Many of them have epitaphs written in Hebrew, Spanish/Portuguese or Ladino, and English. A number have beautiful iconography, such as winged angels and the severed tree of life. 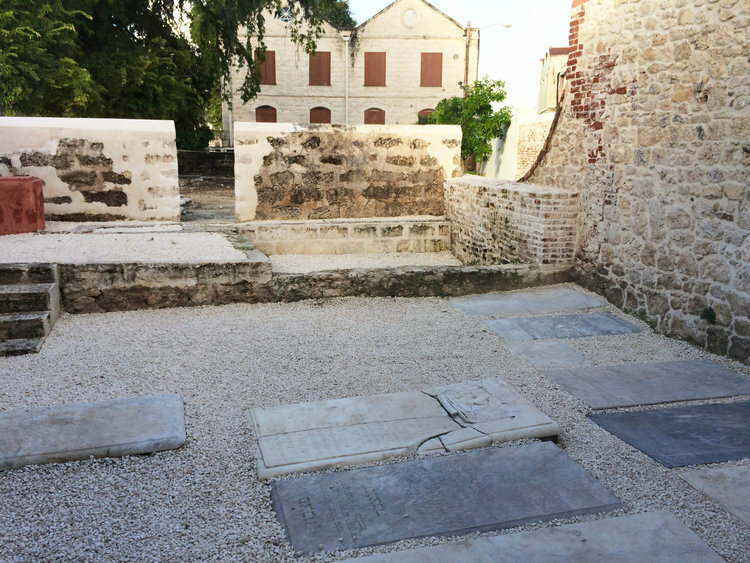 During the 2016 redevelopment period, 17 graves dating from 1752 to 1823 were discovered under the original shoemaker’s shops and will remain uncovered as one of the heritage attractions of the Synagogue Historic District. 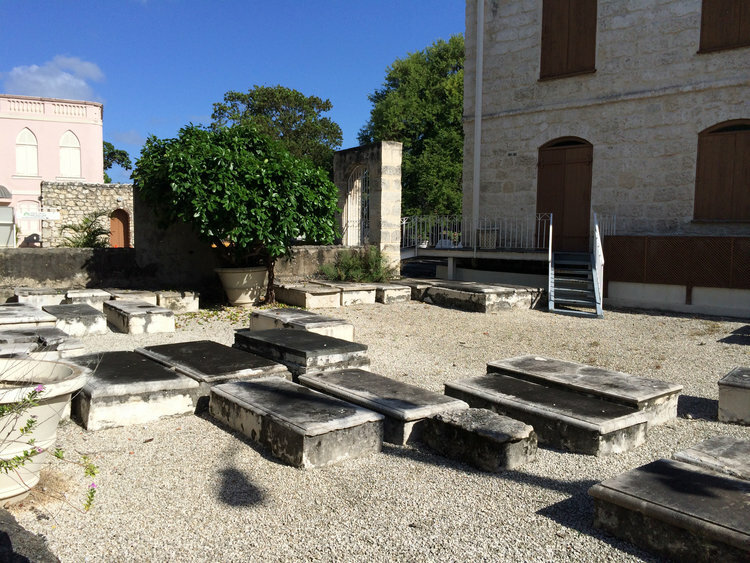 According to local historian, Karl Watson (2016), the inscriptions and designs of the gravestones found there are typical of Sephardic funerary culture. The epitaphs are in three languages: Hebrew, Spanish/Portuguese, and English. The epitaphs in English reflect the cultural norms of the Romantic period and tend to be exaggerated and sentimental. 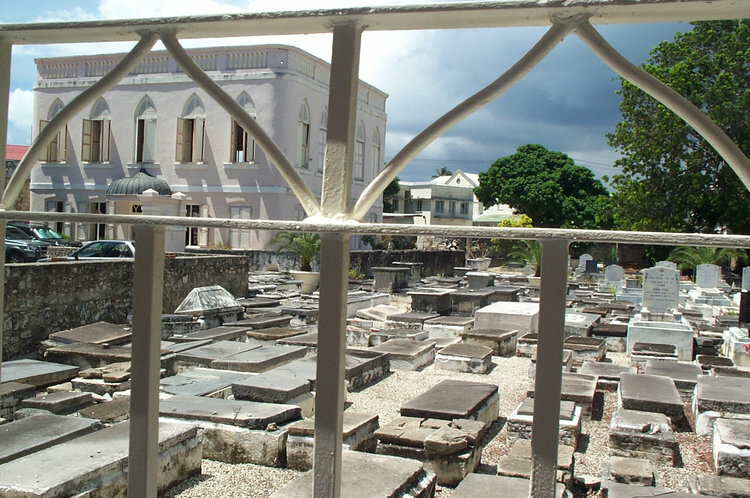 The Jewish cemetery has currently reached its limit of capacity after almost four centuries of use. A new cemetery area has been planned to the north end of the site for future use.